Jazeman Jaafar, Malaysia’s leading young international racing driver, arrives in Germany today ahead of this weekend’s round of the Formula Renault 3.5 Series which races in to the famous Nurburgring. 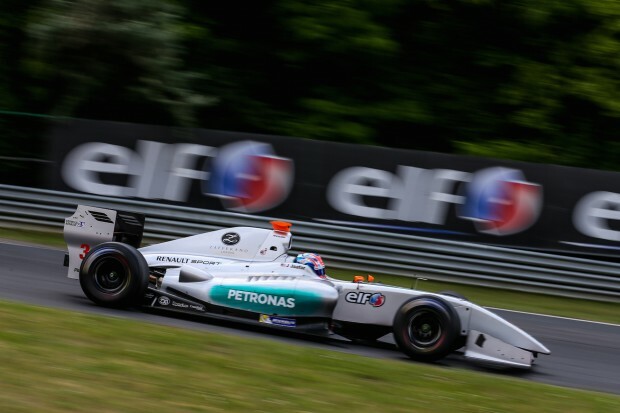 The double header weekend of racing action will see the PETRONAS Talent Development Programme driver back out in his Fortec Motorsport race car chasing down championship points at the German circuit. Following a challenging British round in Silverstone last week, Jazeman is determined to get back to the top of the leaderboard. Jazeman is one of seven drivers in the title fight and although the two front-runners have the advantage, the young Malaysian is committed to challenging for a big haul of points, getting back into third place as a priority for him. The weekend’s Friday practice sessions precede early morning qualifying on the weekend mornings and the races at 2.35pm each afternoon (local time). All the weekend action will be aired live on the Eurosport player and on Eurosport International. Check local listings for timings.